Randon's Ramblings : THE END OF THE YEAR BECKONS - TIME FOR SOME WINTER TWITCHING? THE END OF THE YEAR BECKONS - TIME FOR SOME WINTER TWITCHING? It's December already! Christmas is less than three weeks away and before you know it the new year will be with us and the time when most birders begin a new list. Listing is one of those aspects of birding that never ends. If you commit yourself to a target for the year, which will involve a fair bit of twitching, it can only go one of two ways – success or failure. You will chase around the country to go and look at a bird, successfully see it or dip it, and then drive back again. Even if you do see the bird, the experience isn't always that much fun. Part of the problem is the travelling. 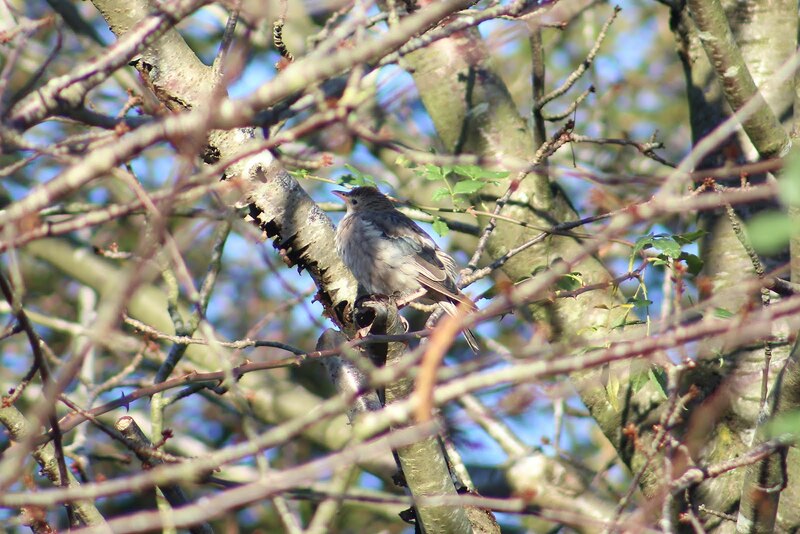 Don't get me wrong, I will sometimes go and twitch a bird these days, as I did last Wednesday morning for my second juvenile Rose-coloured Starling just 25 minutes down the road in the environs of Crawley. It was a nice to see, but it didn't take much effort. Whereas, this week I haven't been inclined to drive for about an hour and 20 minutes to the south coast to twitch the Desert Wheatear (I saw one at Worthing a few years back) or the Ring-necked Duck at Dungeness, which would actually be a lifer for me. It's the driving. I do enough of it during the week anyway. The idea of getting in the car before first light, after scraping the ice off the windscreen in the cold, and charging down the M25, M23 or M20 to beat the rush-hour traffic does sort of defeat the object of birding. To my mind, at some point I will see a Ring-necked Duck, or another Desert Wheatear, or a Siberian Accentor (well, maybe not). But I intend to see them in my own time. The only lists I keep these days are a slow-burning life list and, along with a group of local birders, a yearly patch list. I put together the daily sightings for the Holmethorpe Sand Pits local patch blog that lists all the birds seen during the year. It is painstaking work if I'm honest – especially as I recently lost all the data for October and spent quite a few days putting it back together again. But keeping a record for the local patch is something worth focusing on. And walking the patch means more time actually birding rather than adding miles on the clock. The problem is lately I haven't done much of either. But no matter. I will get some time during the winter to go birding. There are often plenty of decent birds to see on any given day during the winter. If I had been inclined to do a bit of driving today I could have started off at Dungeness to see the Ring-necked Duck, and perhaps a Caspian Gull, followed by a drive west towards Eastbourne for the Desert Wheatear and a Black Redstart, then headed north to Ashdown Forest for a Great Grey Shrike and finished off with the Rose-coloured Starling in Crawley again. Actually, now I come to think about it, that isn't such a bad day out! So did you go to Derbyshire or what?